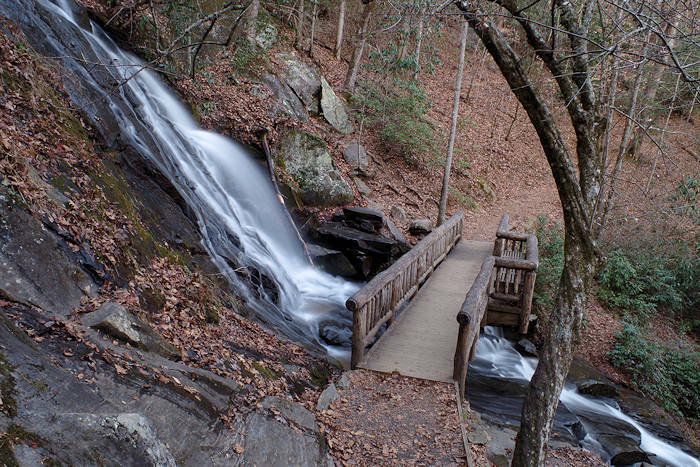 Spend a fabulous day or two in Bryson City and the Great Smokies with waterfalls, hiking, rafting, food and shopping. Since this jewel of small town America offers so much to do, it's one of our top "Cool Mountain Towns" in western North Carolina. 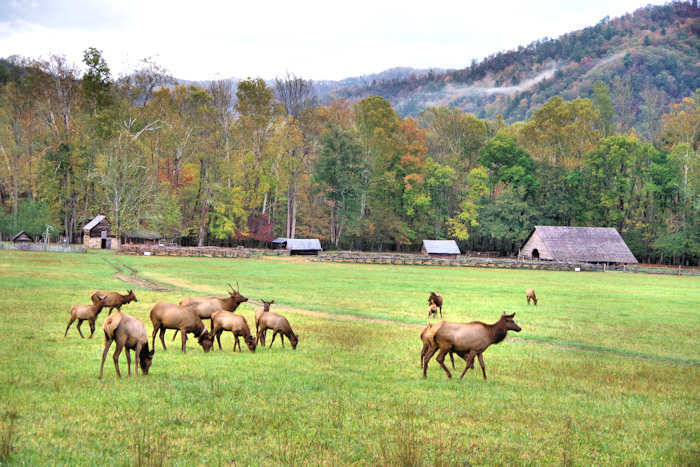 Located about 70 miles southwest of Asheville via a freeway, this is paradise for outdoor and nature lovers since much of the county is part of the Great Smoky Mountains National Park. It's a whitewater rafting mecca, with the Nantahala River cascading through the Gorge and Nantahala National Forest. ABC’s Good Morning America’s “Vacationland” series named the Nantahala River the number one place to spend a wet and wild vacation in the U.S. 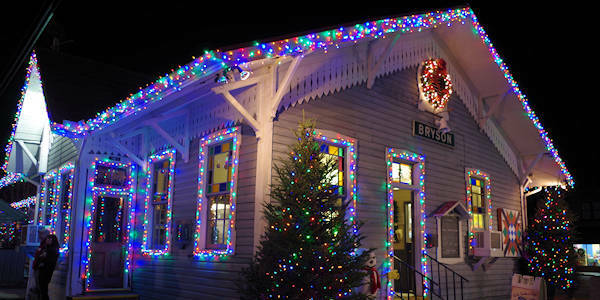 In fact, the Smithsonian named Bryson City as one of the "20 Best Small Towns to Visit." 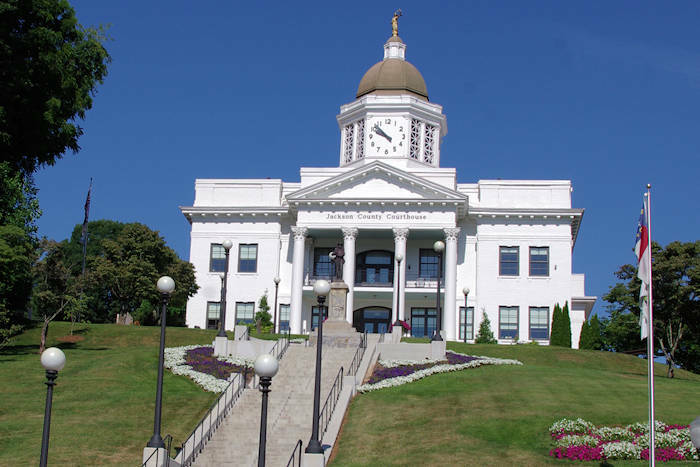 Your first stop should be the stately historic courthouse (12 Everett Street). Downstairs, get plenty of advice about things to do at the County Visitor Center and buy souvenirs at the Great Smoky Mountains National Park Store. 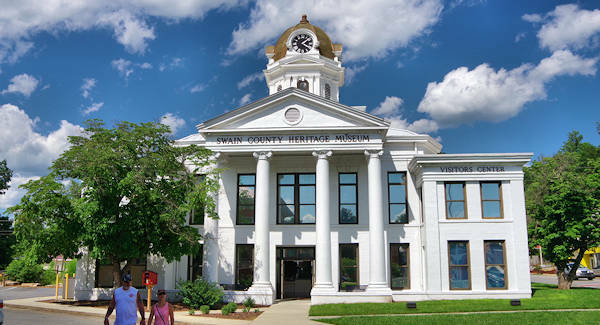 Upstairs, browse the interesting Swain County Heritage Museum for a quick overview of local mountain living. All free to visit and open every day, 9 AM-6 PM. At the Bryson City Depot, hop aboard the extremely popular Great Smoky Mountains Railroad for scenic train rides along rivers and Fontana Lake (buying advance tickets highly recommended). Special excursions throughout the year include the Polar Express. For much more info, go to our GSM Railroad Guide. 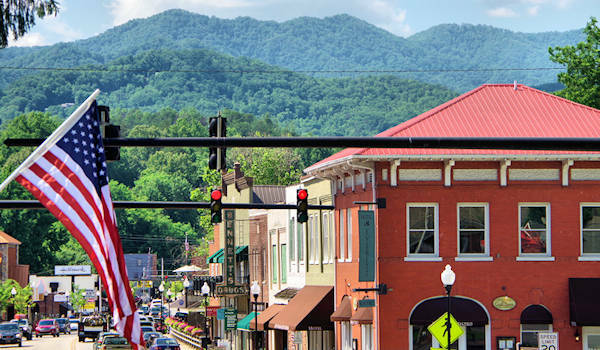 Downtown Bryson City is small town America with a variety of shops with friendly owners. Many shops showcase area artisans who create chocolate, handcrafted jewelry, hand-turned wood objects and pottery. For a small town of only 1,500 residents, there is a surprising number of nice restaurants and two breweries. Take a selfie in front of the caboose! We give only a sampling of things to do... for much more, go to the Bryson City Great Smokies website. 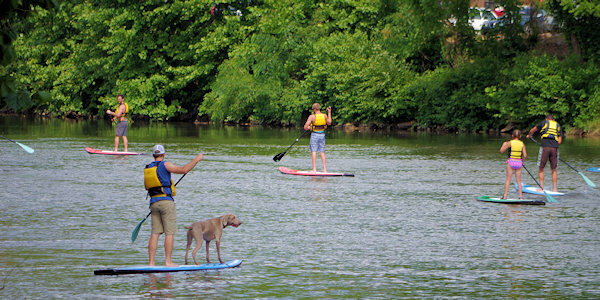 Stand Up Paddleboard with dog Lager the Tuckasegee River in the middle of town with Bryson City Outdoors (169 Main St). This well-equipped outdoor store in downtown Bryson City has everything for your adventure. Services include kayak, paddleboard and gear rentals, a hiker shuttle, and guided tours! Their craft beer taproom & bottle shop has 10 rotating brews on tap with an additional 200+ bottles and cans to go. Located on the second floor of the historic courthouse in Bryson City, see photos, exhibits and video about the early settlers in the Great Smoky Mountains, including a restored log cabin porch. Free admission. 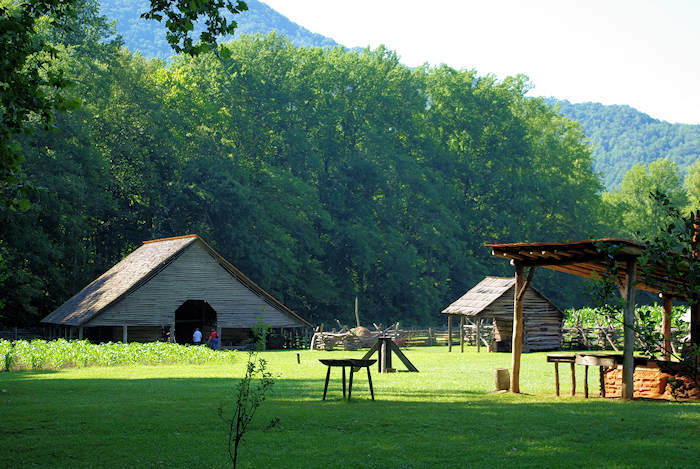 This living history outdoor village portrays eighteenth-century Cherokee life on the mountainside above the town. Interact with villagers as they hull canoes, make pottery and masks, weave baskets and beadwork, dance and participate in their daily activities. Open late April through early November. Tucked away in small village near Fontana Lake and Nantahala River is an amazing gallery that showcases the work of 180+ area artists and hosts a great summer concert series. Many artist studios nearby. Explore shops, galleries and restaurants along the three-block stretch of Everett Street from the Depot to the Visitor's Center. Mountain Layers Brewing Company (90 Everett St) is 7-barrel microbrewery with two bars including a rooftop outdoor deck. Nantahala Brewing Company (61 Depot Street) has been around since 2009 and features many of their brews in their fun Tap Room, open every day. Brewery tours on Friday afternoons include tastings of eight beers. From free live music on many nights each week to big festivals, see the complete Bryson City Events Calendar. For much more information, go to the Bryson City Great Smokies website.